From the moment Charles Bernstein’s seething synthesizer sinks to the pit of your stomach, you know you’re in for something special. What we see onscreen is different somehow. It is dank and grungy and saturated with a sense of palpable terror. We hear heavy-breathing, more perverse than your standard stalk-and-slash drivel. Instead of following some unseen POV presence, we step into the shoes of a young girl and wander as she does, falling deeper into the bowels of a wretched boiler room as the cackles grow and a teasing shadow haunts the periphery of our imagination. The music, now an off-key lullaby, scrawls its way across your nervous system. Without so much as a glimpse at one of horror’s most iconic monsters, a colossal star is born. The year is 1984, and the slasher sub-genre has grown fiercely insipid, each lazily conceived copycat killer plundering through the motions as batches of teenage fodder succumb to the kind of suspense-repelling screenplays producers crave. Mainstream horror has long since abandoned its sense of invention, and it is perhaps because of this that Wes Craven’s A Nightmare on Elm Street is passed from studio to studio without so much as a bite. New Line Cinema are a struggling company stumbling from one production to the next, but producer Robert Shaye decides to take a punt on Craven’s unique concept at the risk of his entire company. He, for one, sees something special. Flash forward a decade and Craven is attempting to salvage his once in a lifetime creation with meta-infused Scream blueprint, Wes Craven’s New Nightmare. Conversely, New Line Cinema is doing rather well for itself having reaped the rewards for a spate of increasingly cynical sequels that have transformed Krueger into both a commercial superstar and a franchise-threatening self-parody. When we think of Krueger all these years later, it is hard to recall just how terrifying Robert Englund’s fritter-faced monster initially was, but we should remember, because in spite of a few sequel-setting hiccups the original A Nightmare on Elm Street is one of the finest horror movies ever put to celluloid. Period. Before Krueger descended into the realms of mythos-crushing caricature, he was sliced from a very different cloth. Actor Robert Englund dripped with sadistic relish as the dreambound child killer, his gunslinger stance and deviant giggle serving up a whole different brand of terror. Krueger was not the kind of seek-and-destroy killer who would dispose of you with one brutish blow. For him, the thrill is in the chase. His evil knows no mercy. Freddy is iconic for a plethora of reasons. His horribly disfigured face — first conceived by make-up artist David Miller as he played with a pizza while working on James Cameron’s Aliens — is the kind of ingenious creation most horror movies can only dream of, while his dirty hat and striped jumper, inspired by a Krueger-esque vagrant spied from Craven’s apartment window, adds to his overall sleaze factor. Most intrusive is his razor-fingered glove, a phallic extension of his evil which only adds to the character’s perverse sexual nature. Krueger is a monster in every sense of the word. But for all those winning elements, the man in the costume is the most valuable aspect in making Freddy the unique character he is. Any chump in a mask can play Jason or Michael Myers, but try separating Englund from Krueger at your peril. New Line Cinema tried as much back in 1985 when the actor demanded too much money for starring in the sequel, but after less than a day he was back strutting his stuff having proven just how valuable he was to their budding franchise. So good was Englund that he would never disappoint, regardless of how poor the ‘Nightmare’ instalment. Based solely on the actor’s performances, every one of those movies would have been a winner. But Englund aside, what makes the original instalment such a wonderful piece of horror cinema? Right off the bat you have Craven’s game-changing concept. Krueger, a real-life monster burned to death by vengeful Elm Street residents, is back to stalk their children in the one place they can’t protect them: their dreams. Great horror thrives on claustrophobia and isolation, and you can’t get more isolated than your dreams, an imaginary realm largely beyond your control and often inescapable. There is nothing more personal or private than a person’s dreams, and when the nature of those dreams is determined by an omnipotent evil beset on tenderising you for the slaughter, there is no bigger violation. It’s not like you can get on a plane and flee the vicinity. Instead, you are forced to torture yourself by staving off sleep. Rest is an essential part of every person’s life. Starved of it we become weak and disorientated, bound by the laws of our very nature. The fact of the matter is, whether you are awake or dreaming, the threat of Krueger looms large. The key to A Nightmare on Elm Street‘s effectiveness is that you are never sure if what you are experiencing are dreams or reality. Craven pays close attention to the mind-bending unrealities of slumber, and particularly the purgatorial place in-between — that moment when we are at our most vulnerable. Whether it is Krueger’s leering impression in the wall above Nancy’s bed or the moment when his claw appears between her legs, only to retreat as she awakens, the blurred delineations establish a sense of uncertainty that leaves us feeling ill at ease. We’ve all had that feeling when dreams seem to cross over into reality and you wonder if it was in fact real, or when you know you are dreaming but are still unable to determine your fate. When Nancy asks Glen to keep watch while she enters her dreams in search of Krueger, a sleeping Glen joins her in that realm, and she accepts his claim that he is still awake and watching, in spite of what her subconsciousness is telling her. 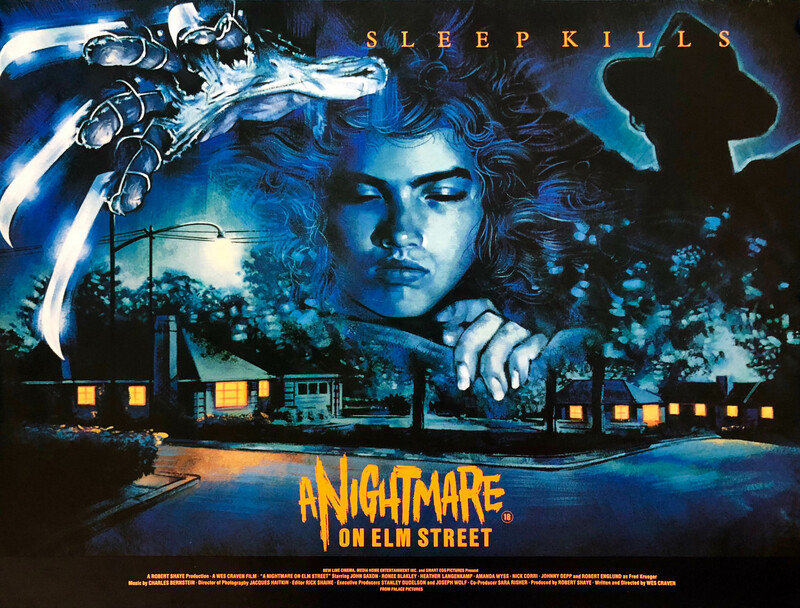 The dream world is a blank and lawless canvas for a horror movie, resulting in a surreal and detached experience that is at once abstract and grounded, and as a consequence we are able to further invest in the Elm Street kids and their perilous predicament. When Jason’s latest victim wanders senselessly into the darkened woods and begins tripping over, we perceive the character as stupid and look upon them with knowing derision. 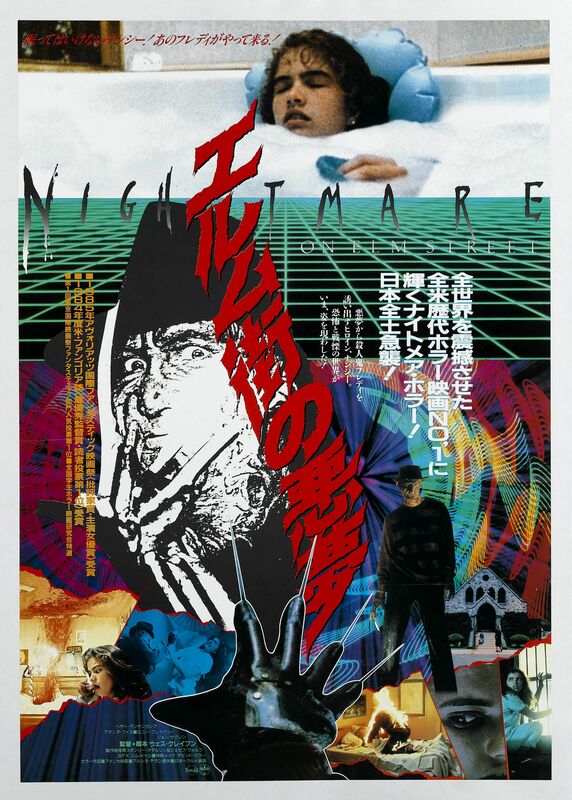 With A Nightmare on Elm Street it is different. The characters are drawn to their peril not by stupidity or contrivance, but by a universal weakness we can all relate to. Who hasn’t in their dreams wandered helplessly in search of something or been unable to run away for reasons which defy logic? Who hasn’t witnessed one face blend into another, or looked on with seeming indifference as one scene merges seamlessly into the next? The characters in A Nightmare on Elm Street have strength beyond the context of their peril. Characterisation is notoriously peripheral in the realm of slasher flicks, but each of Krueger’s targets are vulnerable in their own distinctive way, resulting in a cast of victims who are rich in conflict. We have our bubbly, wild child in Krueger’s first victim, Tina (Amanda Wyss), a naive teenager who is drawn to danger and gets more than her juvenile heart bargained for. Her boyfriend, Rod (Jsu Garcia), is the kind of teenage rebel whose insecurities see him isolated from society, making him the perfect pawn for Tina’s murder as Krueger looks to remain anonymous for long enough to cherry pick his victims. We have the soporific Glen, played by an exceedingly young Johnny Depp. Glenn is a quiet, unassuming kid who refuses to accept the existence of his ethereal predator, and who is therefore easy prey. Then there is Heather Langenkamp’s Nancy, a sweet-faced child of divorce living with the stink of her alcoholic mother as Krueger’s legacy continues to hang over the community in ways which are never confronted. Nancy is perhaps the most resourceful final girl of the entire era. Not only does she survive Freddy’s onslaught, she actively tracks him down as she attempts to pull him out of the dream world and back into reality, an environment that provides her with a fairer playing field. 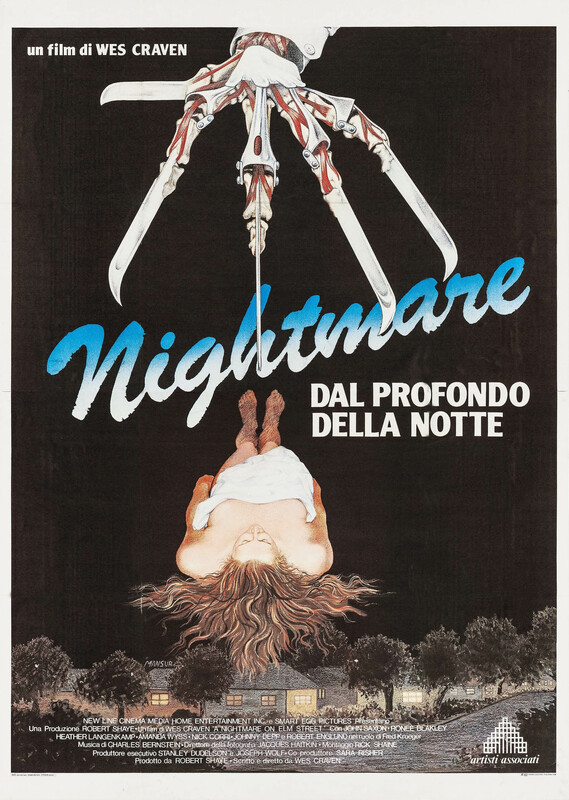 Nancy sets about understanding her pursuer’s weakness, her fear diminishing as she begins to see past his gruesome embellishments, and by the end of the movie she has turned her back on Krueger completely, knowing that without her fear he is little more than a figment of her imagination. When you take everything into consideration: the isolation, the obstacle of adult delusion, the hopelessness of her predicament and the manner in which she overcomes it, it is hard to recall a slasher heroine as strong or as determined as she is. 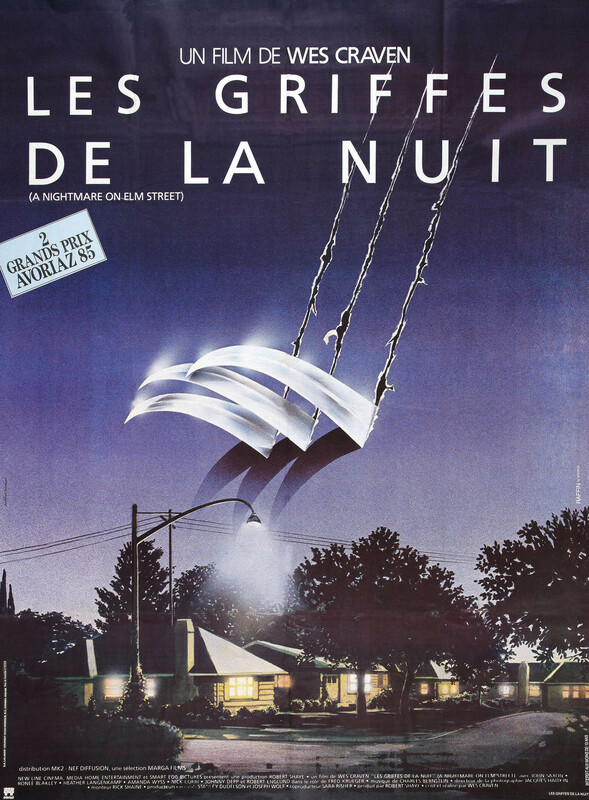 As unique as A Nightmare on Elm Street is, it is still a slasher by nature, and although the movie relies largely on its originality, Craven is smart enough to understand his audience and the explicit elements that fans of the genre had come to expect. In spite of the rapid decline of the slasher during the early 1980s, practical effects maestros such as Tom Savini were creative enough to generally justify the price of admission, but due to ‘Nightmare’s’ dreamworld setting, mechanical special effects designer Jim Doyle had his work cut out for him, and he didn’t disappoint. There are some extremely graphic moments in A Nightmare on Elm Street, but their inventive nature and the ingenuity of their execution elevates them above those of your standard slasher. Some were simple, and some were anything but, but almost all of them were fresh and awe-inspiring, particularly considering the budget they had to work with. The fact that Doyle and his crew had to build an unmotorised, rotating room in order to pull off Tina’s excruciating, ceiling-bound death highlights the level of commitment that went into making the movie a success, while the simple process of stretching spandex across a hole and having Freddy press against it resulted in one of the most visually stunning scenes in all of horror cinema. As a result, A Nightmare on Elm Street feels fresh, not tired, inspired, not cynical, and when the credits roll you know you have experienced something like never before. Krueger is a once in a lifetime creation, the irrepressible star of a movie with the kind of seminal concept that is impossible to replicate. For most people, A Nightmare on Elm Street falls a little short when it comes to the very cream of the horror crop, but I have to disagree. The movie may be flawed — thanks in large part to a sequel-setting ending which, although nicely executed, lacks clarity and assertiveness — but this was a decision beyond the director’s control. Craven wanted his finest creation to be a one shot deal, and he and Shaye would compromise by combining their endings, a settlement which perhaps jeopardised the movie’s masterpiece status. Money may have won out in the end, but the reality is very few films have had this kind of impact on the genre, and it is difficult to recall a horror as fresh or as inventive, while Craven’s craft, ingenuity and understanding of what makes an audience tick has never been keener. The original is just a masterpiece from top to bottom. The care Craven took in realising his dreamworld and the uncertainties that arise are a wonder to behold, while the Krueger character and the concept that makes him are once in a lifetime creations. The third instalment expanded on the possibilities of the dreamworld open canvas, with some quite phenomenal practical effects set-pieces, but the lasting damage of his self-mocking turn would go on to kill the series. As a standalone movie, it is rather special though, and for a brief time rescued the franchise from ignominy following the largely flawed Freddy’s Revenge, which pretty much disregarded everything that was unique about its predecessor. And all it took to rid our dreams of Freddy Kruger was his own daughter cutting off his gloved hand and blowing him up. Apparently no one before then had the right touch.